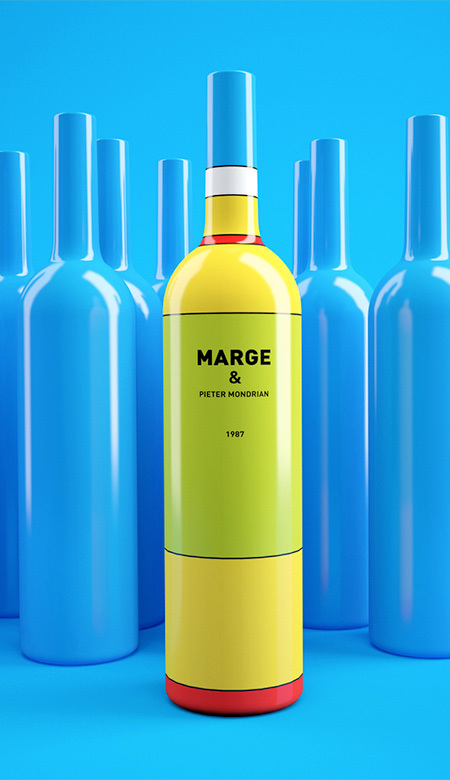 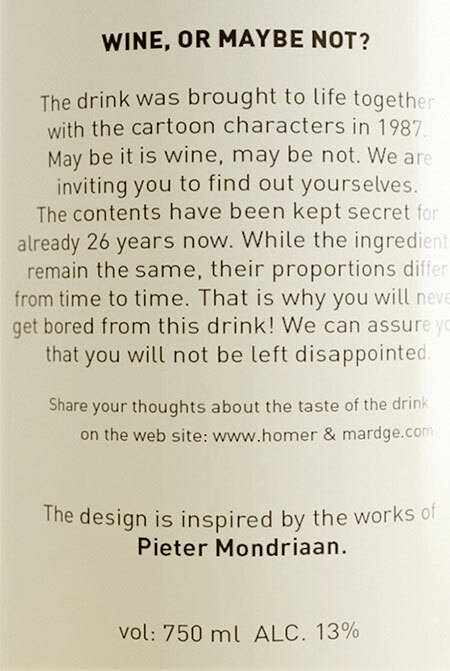 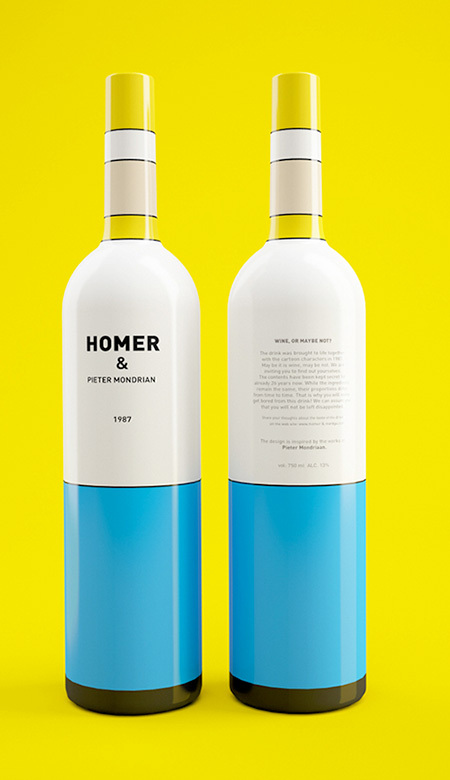 Eye-catching wine bottles designed to look like Homer and Marge Simpson. 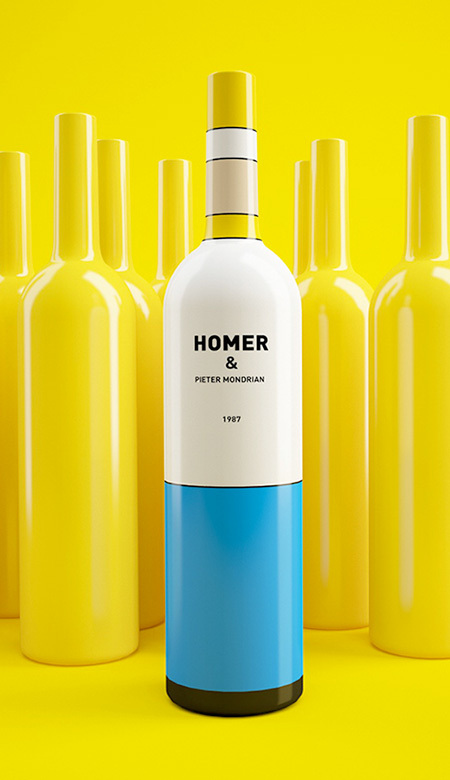 “Simpsons Wine” by Bolimond. 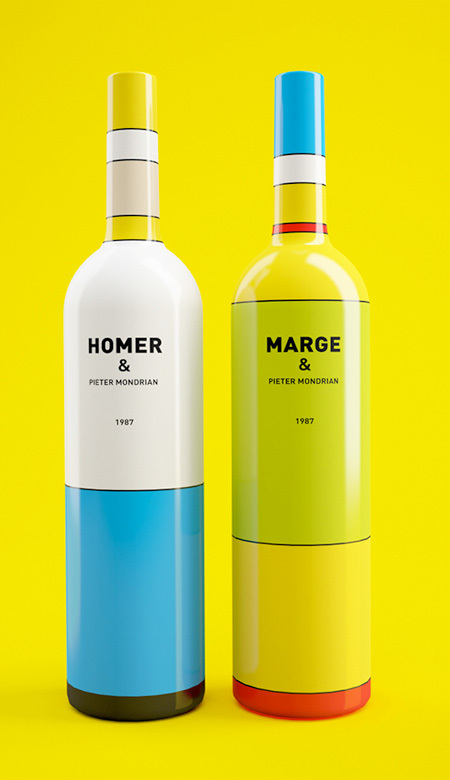 Iconic characters from “The Simpsons” animated television show turned into colorful wine bottles.